Thoughtfully curated, quality artwork can be the making of a room, the finishing touches that make all the difference and turn a house into a home. It's choosing the pieces – and paying for them – that's the difficult thing. 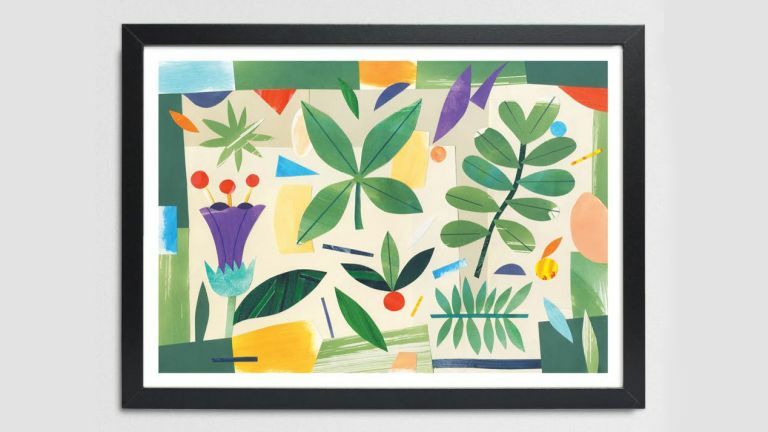 Recognising the problem, a unique online art gallery, RoomFifty, is producing and selling carefully selected limited edition prints by top illustrators and designers. RoomFifty offers three unique prints each from its roster of 50 handpicked artists, and a choice of three sizes – A2, A3, and A5 – to suit most spaces and budgets. New prints are added each season. The image above is a limited edition print called Nature by Pat Bradbury. Buying art like this couldn't be simpler. Once you've chosen the artist, the print and the size, the only decision to make is whether to have your artwork supplied ready-framed. RoomFifty's frames are handmade from solid wood from ethical, sustainable sources and are carefully packaged to avoid breakages. All RoomFifty's limited edition prints are sold by size at fixed price points, which are the same across the board for each of the 50 artists, starting at an amazing £20 for an unframed A5 print. The artists receive 50% of the profit for any prints sold. All you have to do is decide which print to buy.